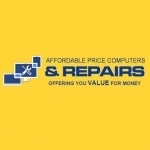 Affordable Price Computers specialise in repair & upgrade of mobiles, computers, tablets & other electronic devices. Free health checks while you wait. Home visits available. Free health checks availble for most electronic devices while you wait. Home visits easily arranged within the Norfolk and Norwich area. Very competitive prices and a friendly service you can trust.